Alery Delgado joined Fields Howell in 2018 with expertise in the areas of insurance defense, commercial litigation, bad faith, and more. Prior to joining Fields Howell, Alery spent seven years as an associate at Lydecker Diaz where she worked on cases involving first party property, personal injury, and wrongful death, among others. Throughout her career, Alery has worked in a variety of capacities at different law firms. While completing her degrees, she spent nine years as a paralegal and law clerk for multiple law offices in Miami. 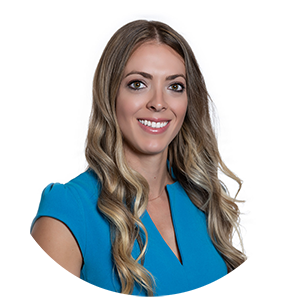 Alery graduated from Florida International University in 2006 before receiving her Juris Doctor from St. Thomas University School of Law in 2010. There she was a Senator of the Student Bar Association and served as a member of St. Thomas Law Review and Mock Trial.